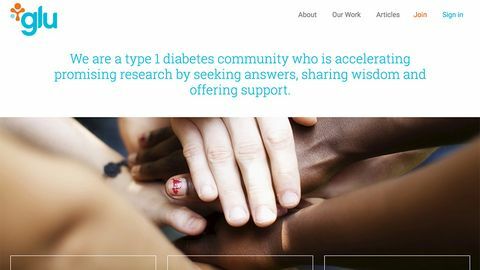 Glu is an online community of T1D Exchange, a unique nonprofit organization focused on driving faster, better research to improve outcomes in type 1 diabetes. This website is for people with T1D, parents of children with T1D etc. It is a well put together site but is mainly based, it seems, in the USA. You can learn about new technologies and join research projects, again it seems USA based and donations are in dollars. They want to accelerate research and be the voice of those with T1D. There is a question of the day which is quite good as you learn from others and there is an online community you can become part of.